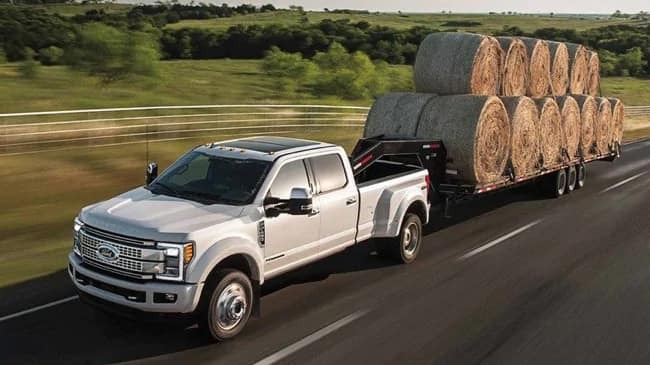 The 2019 Ford F-250 has been awarded the Highest Ranked Large Heavy-Duty Pickup in Initial Quality by J.D. Power and it makes perfect sense. Updated towing features to make hauling large goods much easier than before. It has a steel frame that can handle any construction area and best-in-class torque. 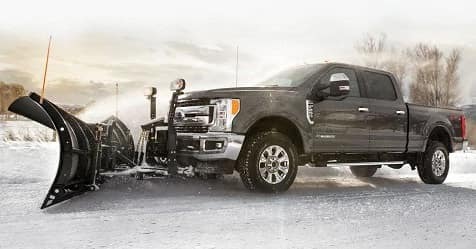 The 2019 Ford F-250 Super Duty Commercial pickup truck will bring you best-in-class ride, comfort, durability, and versatility while helping you complete any job with ease. 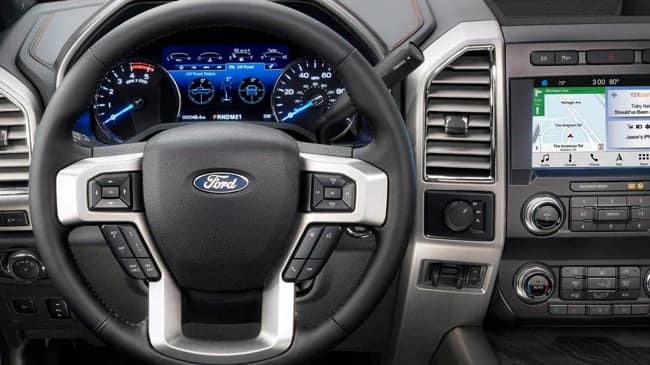 Get your new 2019 Ford F-250 Super Duty Commercial Pickup from Sutton Ford Commercial serving Frankfort, IL today! Want more information on the Ford F-250 Super Duty‘s performance and power specs? Come into Sutton Ford Commercial Truck Center near Frankfort, IL and speak to one of our expert sales consultants today. Versatility – add accessories & upfits to increase utility. The available class-exclusive Live-Drive Power Takeoff (PTO) Provision with Mobile Mode lets you power an aftermarket snowplow, pump, compressor or other accessory. The PTO provision is available across the entire engine line-up. An output gear connects directly to the engine crankshaft to power your PTO anytime the engine is running, whether the truck is in motion or stopped. 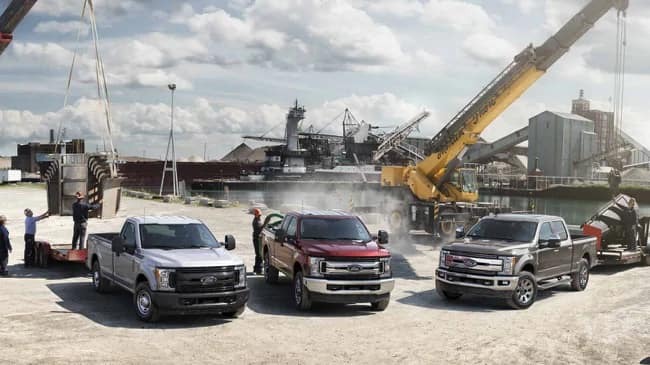 At Sutton Ford Commercial Truck Center, our financing department has many options for you to choose from to help you purchase the right 2019 Ford F-250 Super Duty Commercial pickup truck model. We offer great finance specials, as well as regional & local manufacturer incentives to help you keep more money in your pocket. Our highly experienced finance experts work with all types of credit so can you find the right deal, regardless of credit history! Why Buy from Sutton Ford Commercial Truck Center near Frankfort, IL? 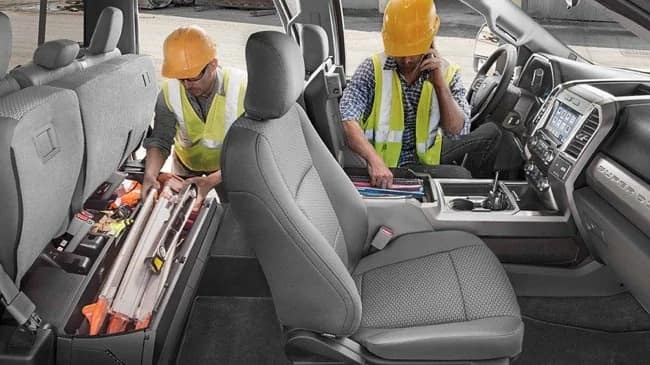 The 2019 Ford F-250 is the perfect commercial truck for work. It has great interior with blind-spot features, plenty of muscle, and the toughness to bring safety to the most difficult of driving situations. The 2019 F-250 brings it all. Our friendly staff with help you find the right trim or assist you with any questions you may have. Our hospitality is also well-known throughout the area and we ensure that you have a great car shopping experience. Test drive the new 2019 Ford F-250, an award-winning vehicle that is perfect for any vocation. 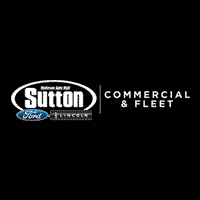 Visit Sutton Ford Commercial Truck Center serving Frankfort, IL today.